Empowering women a must to shape their future: UNFPA report - Integration Through Media ....! 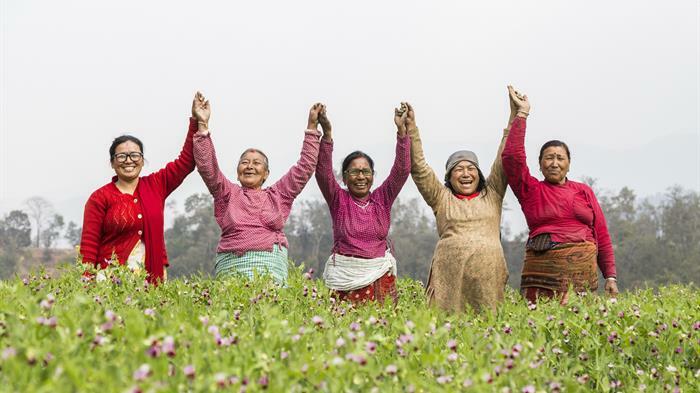 KATHMANDU: The global reproductive rights movement that began in the 1960s transformed the lives of hundreds of millions of women, empowering them to govern their own bodies and shape their own futures. But despite the gains made over the past 50 years, the world still has a long way to go before rights and choices are claimed by all, according to the new State of World Population 2019 report released by the United Nations Population Fund (UNFPA) on Monday. On the journey towards their rights and choices, women and girls have faced social and economic barriers in every step of their lives. The efforts of the reproductive rights movement have dramatically reduced the number of unintended pregnancies and maternal deaths, and have cleared the way for healthier, more productive lives for untold millions, says the new UNFPA report. It has been 50 years since UNFPA began operations in 1969 as the first United Nations agency to address population growth and reproductive health needs. It is also the 25th anniversary of the 1994 International Conference on Population and Development (ICPD), where 179 governments, one of them Nepal, called for people to have access to comprehensive reproductive health care, including voluntary family planning, and safe pregnancy and childbirth services. Much has been achieved since then, says the report. Globally, the number of women who died from pregnancy-related causes has decreased from 369 per 100,000 live births in 1994, to 216 in 2015; and 24 per cent of women used modern contraceptive in 1969, compared to 52 per cent in 1994 and 58 per cent in 2019. Nepal has also seen significant progress in maternal health and taken up family planning services since 1994. However, reproductive rights are still out of reach of many women in Nepal – one in four married women currently have an unmet for family planning; modern contraceptive prevalence rate has plateaued at 43 per cent since 2011; and maternal mortality remains high at 239 maternal deaths per 100,000 live births. The recently endorsed Safe Motherhood and Reproductive Health Rights Act 2018 recognises reproductive rights as a fundamental human right; it aims to expand reproductive health care and reach vulnerable groups including adolescents.In recognition of the multiple barrier faced by certain groups, based on ethnicity, caste, religion as well as age, marital status, disability, among others, the Act commits to promoting non-discrimination in providing access to sexual and reproductive health services. “Despite the increasing availability of contraceptives over the years, many women today still have no access to them, and to the reproductive choices that come with them,” said Dr Natalia Kanem, UNFPA Executive Director. “Without access, they lack the power to make decisions about their own bodies, including where or when to become pregnant. The lack of this power—which influences so many other facets of life, from education to income to safety—leaves women unable to shape their own futures,” added Dr. Kanem.